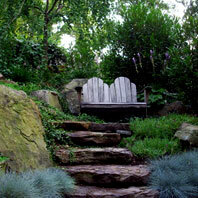 ...This exclusive style has become the CLD finger print. 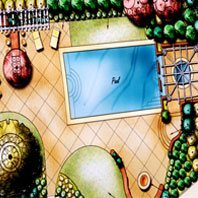 You can tell a Creative Land Design project at first glance. 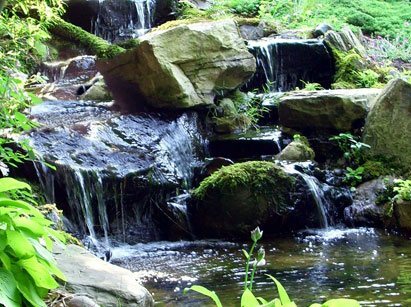 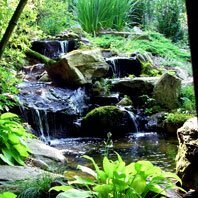 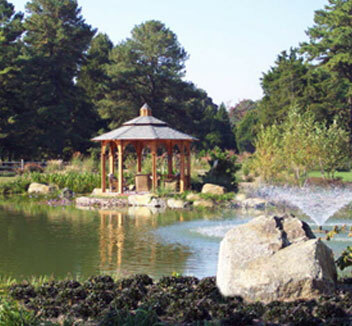 Whether it be the creative use of boulders in naturalized rock gardens, marrying softscapes and hardscapes together forming a soft natural blend of elements..., or the use of water features such as ponds, water gardens, and waterfalls that are almost impossible to know as man-made. 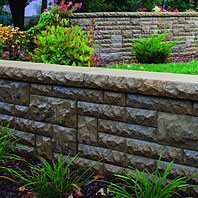 Immediately a passer-by would notice one of CLD's exclusive Living Retaining Walls™ or (boulder walls). 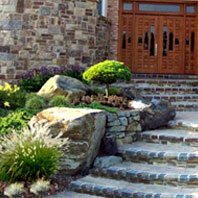 These walls are designed with plant pockets filled with rock garden plants, creating an environmentally friendly, aesthetic and structurally sound retaining wall that becomes the focal point of the landscape, as opposed to something to hide. 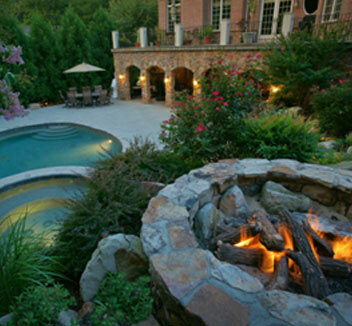 If one were to venture into the back yard, one might find one of CLD’s custom natural swimming pools, often designed to look more like a pond then a pool; always designed to become part of the landscape and blend into its surroundings as opposed to being its own entity. 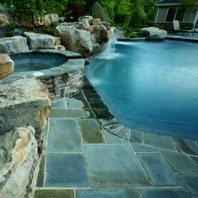 The pool would most likely be bordered or even part of one of our outdoor rooms possibly surrounded by an exquisite rockscaping plan, with specimen plantings and a possible stroll-garden to pull the guest through the design. 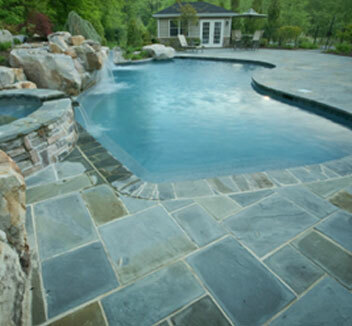 A view from the pool might look over a beautiful clay bottom pond, filled with native water lilies, graceful grasses, and striking irises. 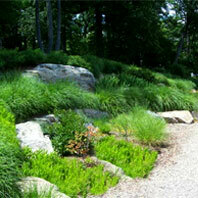 Whether you are looking for a Maryland Landscape Architect, landscaping contractor, or retaining wall contractor or a pondscaping specialist..., a rock garden, an outdoor lighting plan, or environmental green spaces..., Creative Land Design offers all such services as a form of art, all wrapped up in one company, to provide you with the unique experience of going on vacation without ever having to leave the yard.